Looking for that last minute gift? 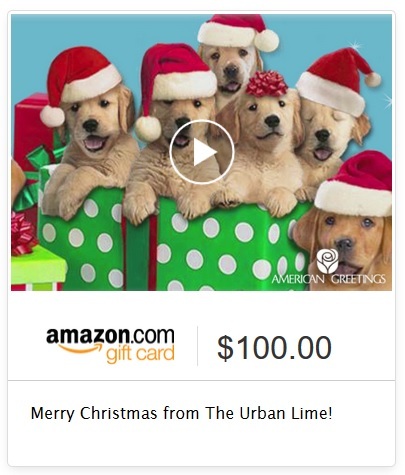 If so take a look at the Amazon Gift Cards, they offer many different types of cards that can be personalized in a few minutes. You can even get restaurant or local store gift cards from them. The gift cards can be in any amount and are usually delivered within 5 minutes via email, they can also be printed if you need a physical item for that party you forgot all about that you have to be in within the next 30 minutes. Finally Amazon gift cards can also be scheduled for a special date in the future. This eliminates the hassle of the last minute trip to the mall that can be quite hectic. It also eliminates shipping charges for last minute online purchases. Frankly, your recipient will probably prefer it as they can choose what they wish to buy with it. It's a win-win for everyone. Get your very own gift card on Amazon .